There are few characters in modern political history more bizarre than Roger Stone, and that was true long before his connection to the presidency of Donald J. Trump. Roger Stone is known as a political “trickster”; which is a nice way of putting that he likes to meddle in the affairs of The Beltway, often for his own well-being. Furthermore, given what the liberal left seems to think is happening behind the scenes at the White House, Stone’s precious employment by none other than Richard Nixon himself now seems superbly ironic and coincidental. 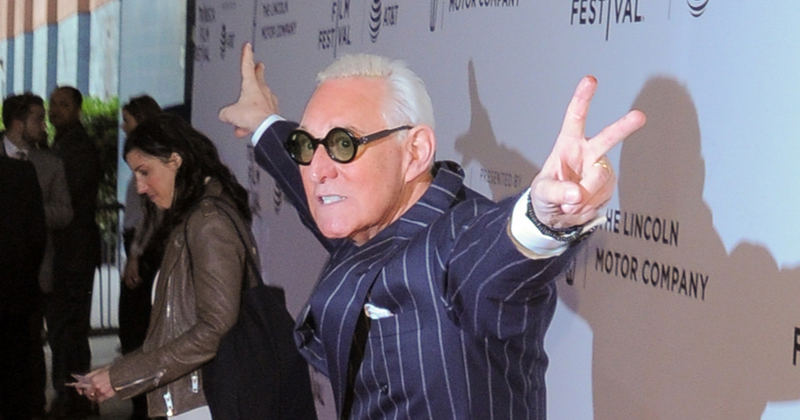 Being such a vocal political operative, (who also happens to dress a bit like a Rodney Dangerfield caricature of Al Capone), has made Stone one of the most unique players in the supposed “Russia-Gate” saga. And, as such, he’s already been slapped with a fairly strict gag order as he works toward adjudication. Stone being Stone, however, he has already managed to push the limits of his minuscule amount of freedom. Stone’s team was taking the issue seriously. For all the bizarre stories that we’ve already heard about Roger Stone, it seems as though the longtime DC denizen isn’t done providing entertainment just yet.